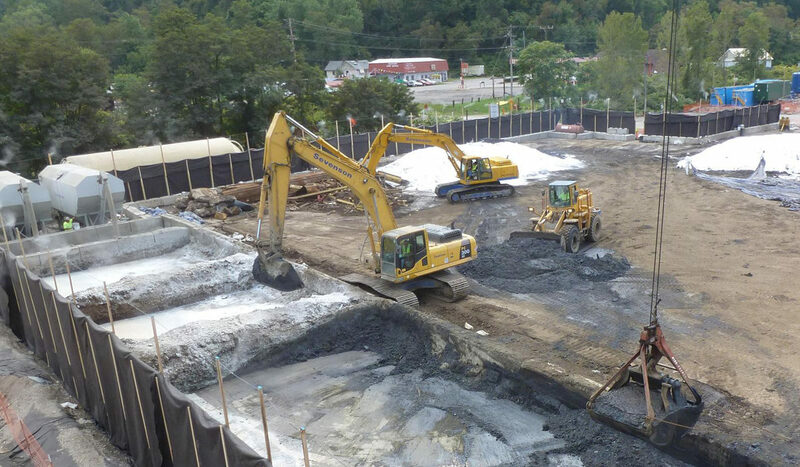 Mechanical dredging of approximately 32,000 cy of coal tar contaminated sediment from a 4.7 acre area along the Ohio River and adjacent to an active coking facility. Dredged sediment transported in hopper barges by tug to a processing facility for off loading, stabilization, and load out for T+D. The dredge prism was adjacent to and active processing facility which required a high level of coordination to ensure the facilities operation was not interrupted. Installation of a pumping system to provide all the make up water necessary for the facility to operate. All water encountered was collected and treated onsite through a temporary waste water treatment plant prior to discharge. 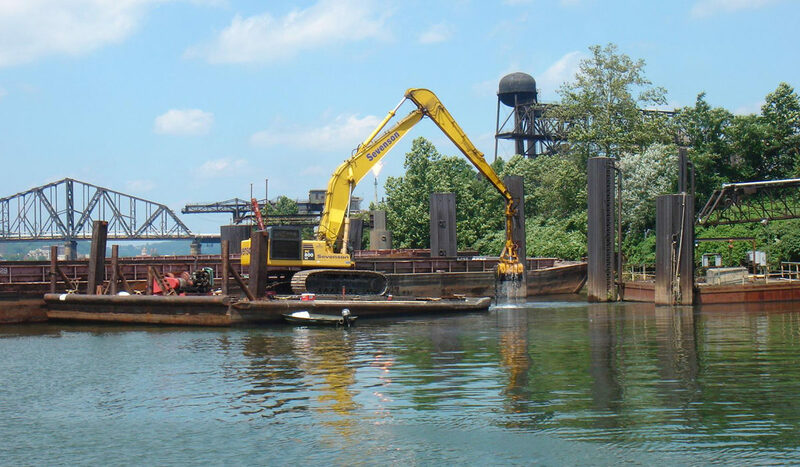 Overcame unexpected conditions including removal of large quantities of debris within dredge area. The site is located in an industrialized area of West Virginia along the eastern embankment of the Ohio River just north of Follansbee, West Virginia. The dredge spoils material handling and processing facility was located approximately 7 miles south of the site. 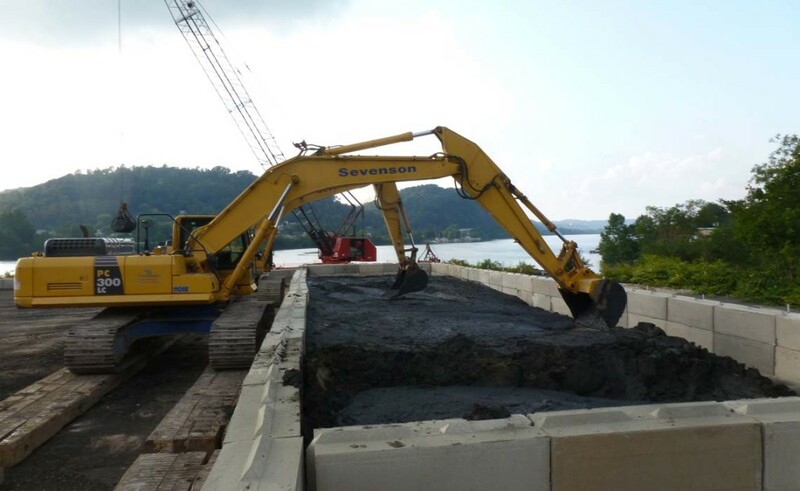 The project required the mechanical dredging of approximately 32,000 CY of coal tar contaminated sediment from a 4.7 acre area along the Ohio River, adjacent to an active coking facility. 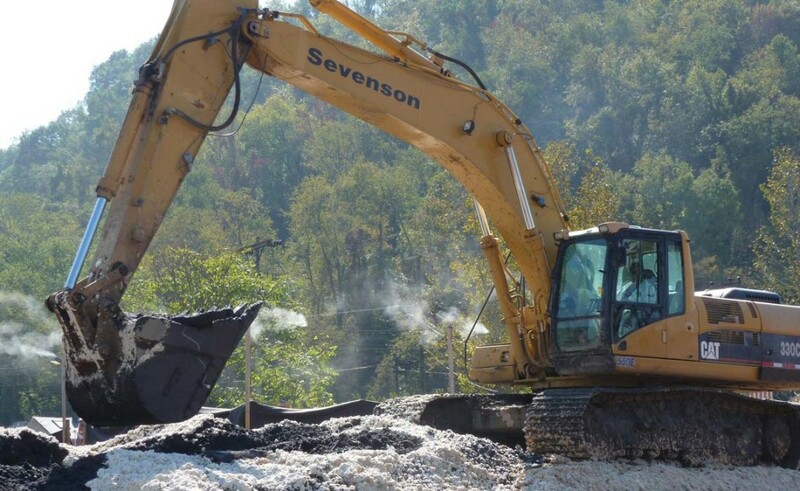 The sediment was dredged utilizing a PC800 excavator mounted with a 2 cy environmental clamshell bucket and an IHC RTK GPS system. Sediment was loaded into 1200 ton hopper barges. 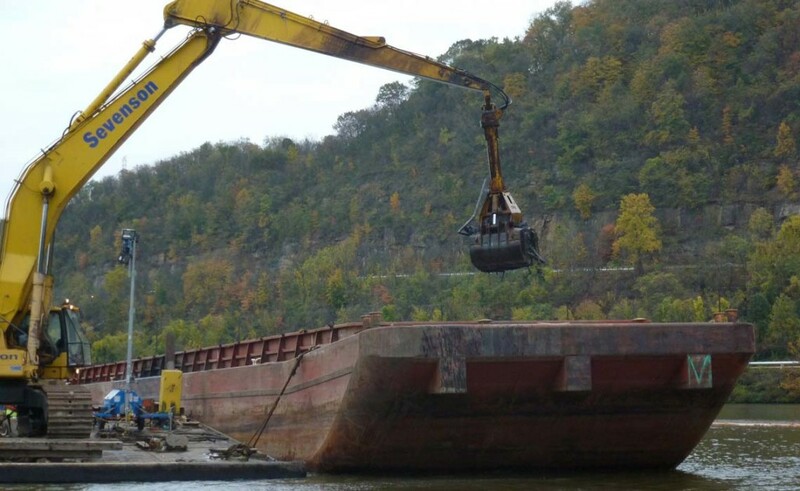 Hopper barges were towed 7 miles downstream to a processing facility where they were off loaded and stabilized with Portland cement prior to loading for offsite T+D. 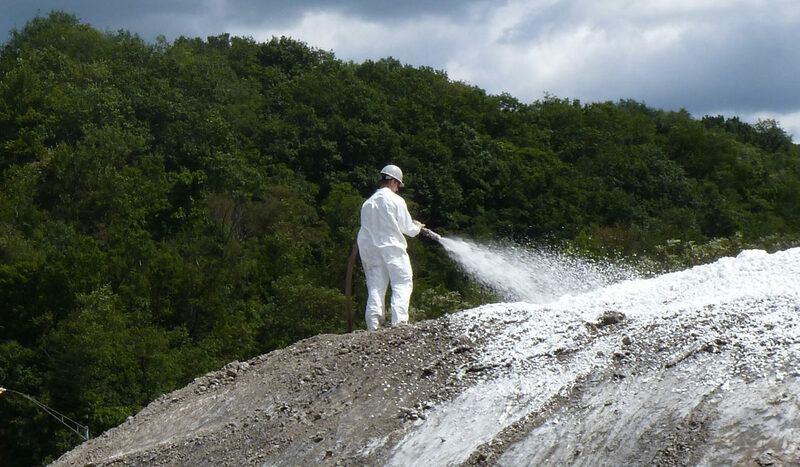 Odors from the sediment were mitigated using an odor neutralizing misting system as well as a long duration foam. All decanted water was treated on site through a waste water treatment system before being discharged back to the river. As dredged areas were verified by the engineer as meeting design grades, installation of the subaqueous cap was initiated. The cap consisted of a Reactive Core Mat, one foot of filter stone, and two and a half feet of large rip rap. 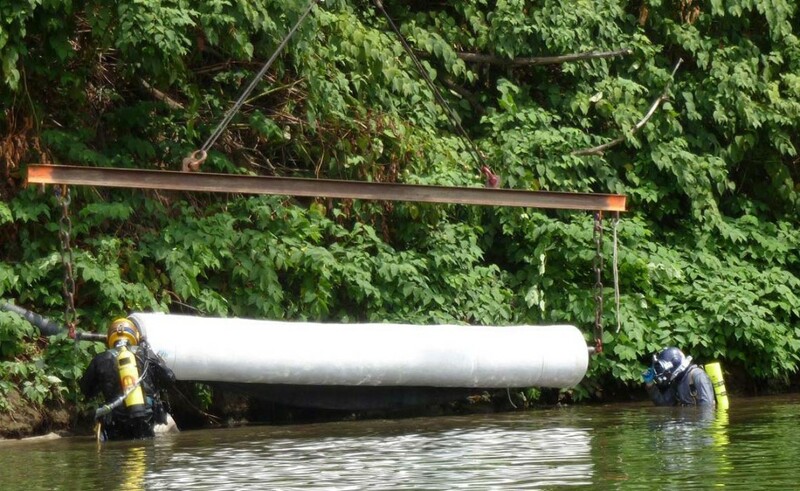 The Reactive Core Mat was placed using a 35 ton crane positioned on sectional barges. Divers were used to maintain the specified overlap and directed the crane from the river bottom through radio communication. 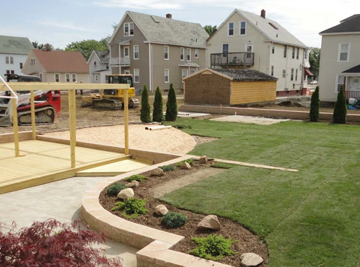 The stone layers were placed using a combination of a 200 ton crane and a PC800, both using RTK GPS systems. The placement of stone layers had to be carefully coordinated to ensure barge spuds were never dropped onto the deployed RCM. This required that survey results be expedited to the engineer to prevent delays in the backfill operation. The survey consisted of single beam bathymetry and manual survey done by a third party. An active dock for the facility was within the dredge prism. Ongoing communication between Sevenson’s project team and plant personnel was required to ensure that plant operation were not interrupted during dredging operations. Sevenson assisted plant personnel with barge traffic management so the plant production remained on schedule. In addition to assisting the plant with barge traffic, Sevenson was required to provide make up water for the coking operation. 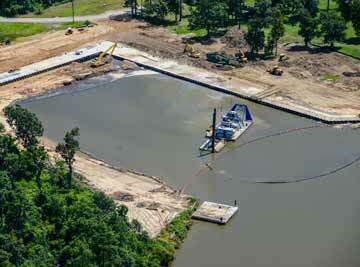 The existing source of water for the facility had to be removed prior to the initiating dredging. Sevenson relocated and installed a temporary source of water consisting of a small scow, 6 inch centrifugal variable frequency drive pumps, and a HDPE force main. An old dock constructed of timber piles and wood planks also within the dredge prism was also removed. The dock housed all process piping and steam and electrical lines. 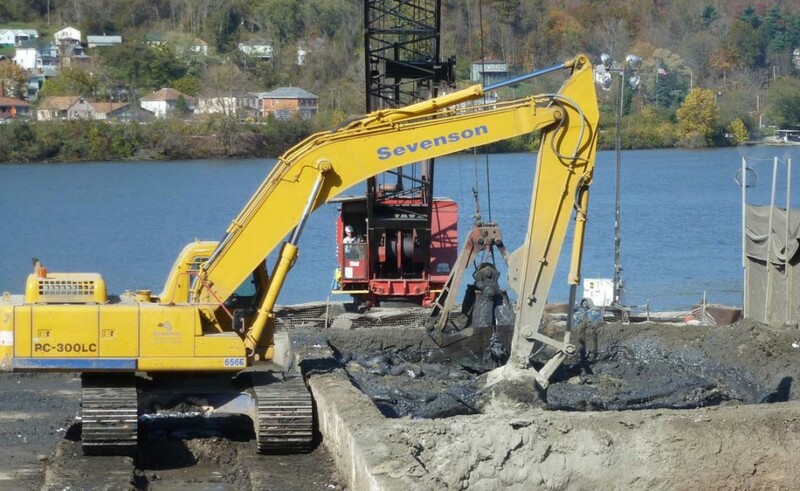 The dock was stripped down to the wood pilings using a crane and excavator with a grapple attachment. Larger sections of dock were rigged to the crane and cut free. 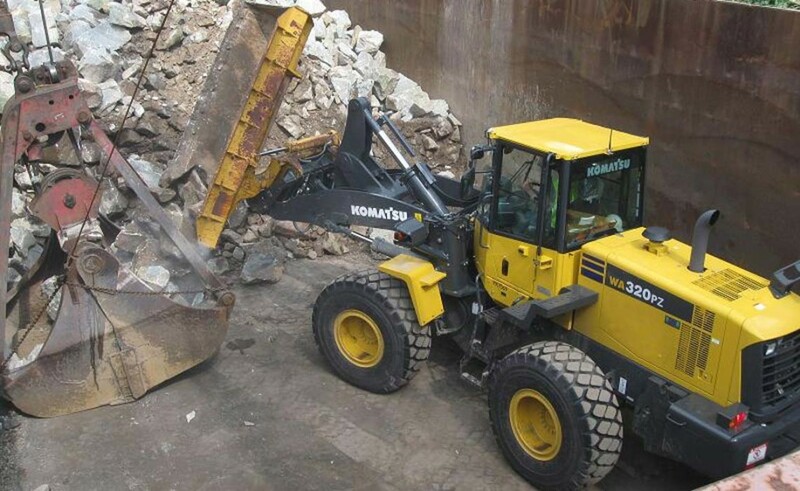 Other sections were removed with the grapple mounted on the excavator. The timber pilings were removed using a vibratory extractor suspended from the crane. All debris was placed into hopper barges and transported to the processing area for off loading and sizing for disposal. Approximately 35-40% less Portland cement was used than originally estimated through best management practices in the field. 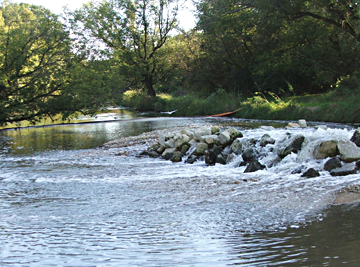 Design sediment removal goals were met without exceeding the permit limits for the project. The Reactive Core Mat quantity was as anticipated despite more than normal high flow river conditions. The overall aggregate quantity for the cap was below the estimated tonnage. Health and Safety Measures: Air quality monitoring was initiated daily in all work zones and for confined space entries that were required. Personal floatation devices were mandatory for all marine work. Work performed in either Level D, or modified Level D when directly handling contaminated sediments. How 40-Hour Training Was Implemented: All site personnel trained and oriented with a site specific hazard awareness orientation including personal protective equipment, personal hygiene and safe work practices. 8-Hour refreshers were conducted on site as necessary.